Money is everything. Everyone needs money to fulfill his/her dreams. 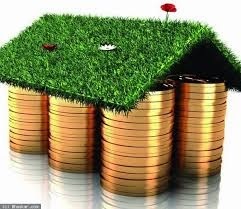 In this article we write about 11 Vastu tips for money. These tips direct relate to money matters. 2. Place the cash locker or cash almirah close to the South or South-West wall so that it opens in the North direction. North is the direction of Lord Kuber and opening of locker in North direction allows Kuber to fill it again and again. Avoid placing cash locker in any other direction. 4. By Keeping the North-East portion clutter free and open you can attracts wealth towards you. Avoid making any heavy construction in this area like staircase or store. 5. Make sure to avoid any high rise buildings, temple etc. in front of NE of your plot or home as this leads to loss of wealth. If there are high rise buildings and temples then at-least make sure that their shadow doesn't falls on your home or plot. 6. Always keep the South-West portion of roof higher than the North-East portion. In other words the building roof must slope from SW to NE. 7. Make sure that South and West walls of home and boundary are higher and thicker than the walls in North and East side. Never have big and high trees in the North-East side of a plot as it obstructs financial flow. 8. Always make sure to keep the center of home as free area. Never make any construction (except a temple) in this part of a house as this is the Brahmasthan. By Placing a water fountain in North-East part of home (Make sure that water in the fountain is always moving) easily flow of positive energy and wealth. 10. Decorate the main or entrance door of your home distinctively to enable prosperity and wealth find your easily. Also decorate the name and number plate of your home. Keep this area brightly lit and beautifully colored. 11. Wealth is mainly represented by purple color, hence keep a purple colored plant in your home. However, if you find it difficult to get a purple colored plant then keep a money plant in purple colored pot.